OTC PR Group is a top Small Cap Investor Relations Firm that provides a full suite of public relation services utilizing the latest technologies coupled with relationship building processes to develop and maintain interest from your shareholder base. We always put our clients in front of investors who can take action immediately. We work to build shareholder value by engaging with key-stakeholders and effectively following up and communicating your message, investment potential and corporate vision to investors, Brokers and the media. Our Small Cap Investor Relations Firm affords you the greatest coverage in developing stock support and higher market capitalization utilizing the largest and most popular database providers in the industry who can take positions in your company stock. Our Small Cap Investor Relations Firm produces media results including articles, radio interviews, and op-eds that provide strong marketing materials and credibility. As an example: a well-executed media placement can be distributed as an e-mail blast, physical mailer, and social media post. Further, that content can be sent to existing customers or member bases, as well as potential ones, to demonstrate company value. Public relations can influence an audience, and can position a company or individual as an expert within their industry. For companies with very targeted audiences, when impactful news occurs or trends develop, it is important to make your voice heard through a story in the press, blog, or a strategically placed op-ed/byline. 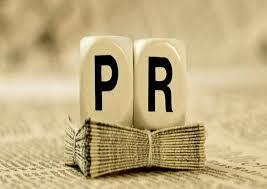 Driving lead generation for your brand, effective PR can influence and motivate your target audience. As people continue to see your company or product in the media, it increases the chance of them making a call, sending an e-mail requesting more information, subscribing to a newsletter, visiting a website, and/or other calls to action. Our Small Cap Investor Relations Firm addresses brand competition by ensuring that your company is presented with the same opportunities to get in front of targeted audiences as others in your industry. It is important to be seen in similar media coverage as your competitors in terms of story ideas, trends, product features, and more. Over the course of time, PR can certainly improve a company’s rankings based on a high volume of high quality media placements. Public relations efforts can be leveraged across social media to drive more traffic to the article, which will result in better SEO for the page and the links within it, and will continue establishing the brand publishing via social media to increase visibility. The bottom line is to get the word out about your company, your products and services to those who could potentially be interested in you. If your business is able to do this, PR may help your company look more influential, bigger, and more important in the public eye. Public relations are an important part of marketing and advertising and needs to be considered in your advertising budget. The good news about PR is when done effectively can lead to strong community and industrial partnerships, and even financial support. E-Mail Alerts: PennyStockPlay.com will frequently distribute news and trade alerts concerning your company between our entire member base. This means breaking news is delivered to our affiliated network of News Letter Websites and Social Media Outlets that connects our members and the investment community virtually the instant it occurs. PennyStockPlay.com profiles your company in great detail regarding all the pertinent information that investors are interested in knowing. All of the stocks we profile meet or exceed a certain level of confidence that our members have come to rely on. Through this relationship, we begin by building anticipation among our subscribers, followed by announcing your company as our newest stock pick. Included in our announcement is all the vital information concerning the reasons that we believe your company to be undervalued coupled with your stock’s upside potential? Corporate Profile: We know in order to make serious investment decisions, individuals must do quality due diligence. To assist the investment community, OTC PR Group profiles your company in great detail regarding all the pertinent information that investors are interested in knowing. Press Releases: OTC PR Group helps create and distribute exciting news about your company via the most commonly viewed news wires. We can also issue a press release that states PennyStockPlay.com and OTC PR Groups affiliated network of News Letter Websites and Social Media Outlets has initiated coverage on your company. Social Networking: Our 21st Century Communication approach is essential to any awareness campaign and is connected in the industry in regards to social networking and on-line marketing. We have the ability to deliver important Investment information, including stock alerts, investor awareness news and press release coverage through Facebook and Twitter. Shareholder Communication: Communicating with shareholders is an essential part in maintaining quality relationships and awareness. Our Small Cap Investor Relations Firm offer your shareholders the opportunity to have their questions answered through social networking and on-line marketing.